Come see what Afternoon tea is all about. 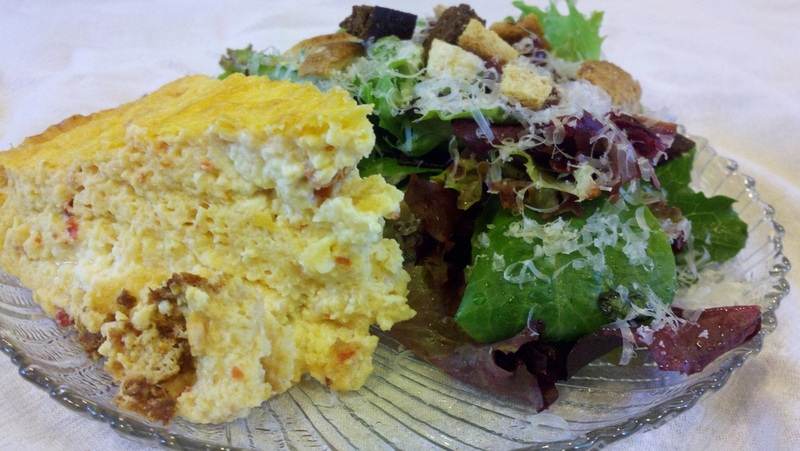 The Queen's tea consists of quiche and a side salad (soup when available) followed by the 3-tiered tray. 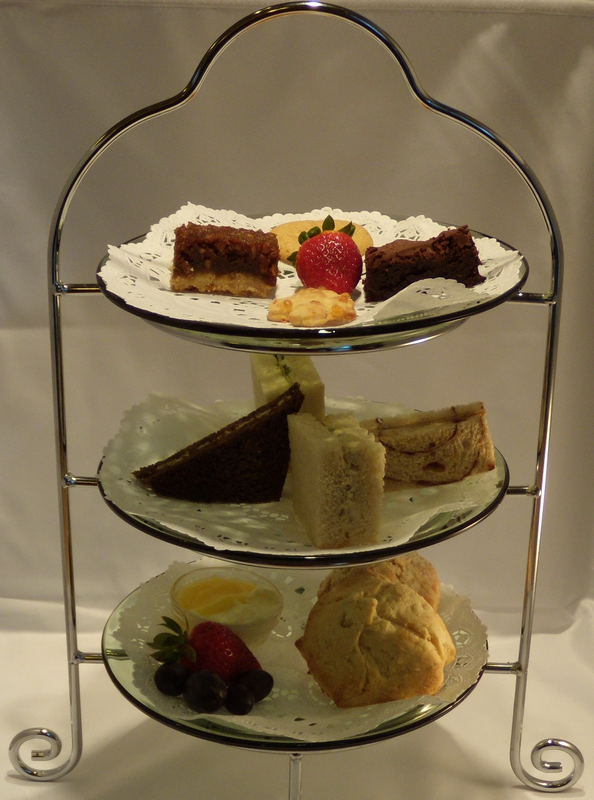 The 3-tiered tray consists of fruit and scones on the bottom plate, assorted finger sandwiches on the middle plate, and assorted desserts on the top plate.